Hello friends! I hope it looks and feels like spring where you are. Here in Pennsylvania, we are currently buried under about 9 inches of snow, and it’s not showing any signs of letting up! To remind us that spring is here (eventually, right? 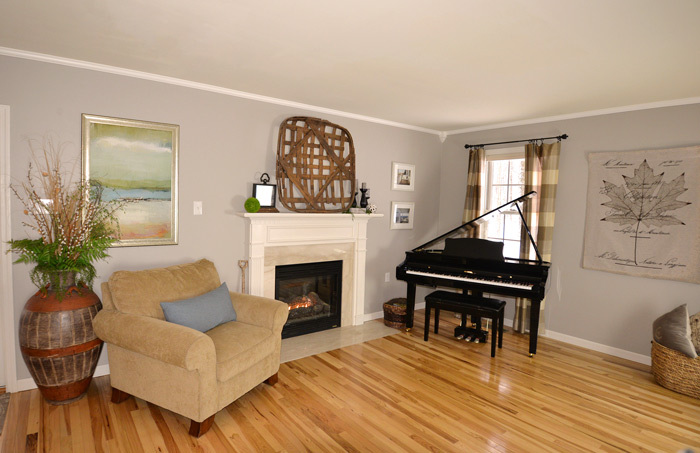 ), I thought I’d share a tour of our living room, decorated for spring. 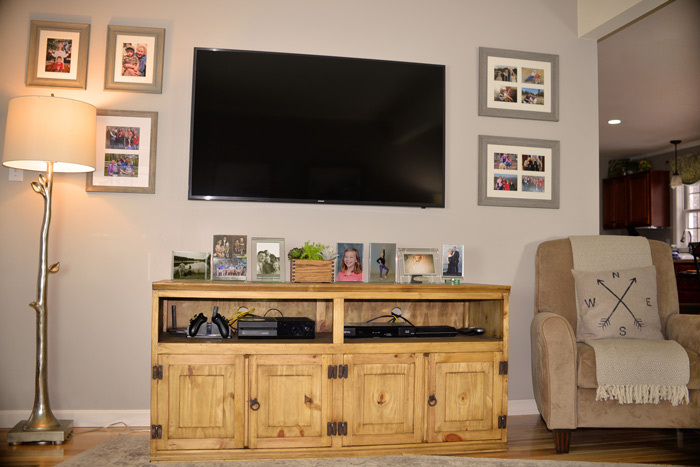 I was perusing the home tour tab on the blog and noticed a lot of changes have occurred in the living room since I last posted about it. 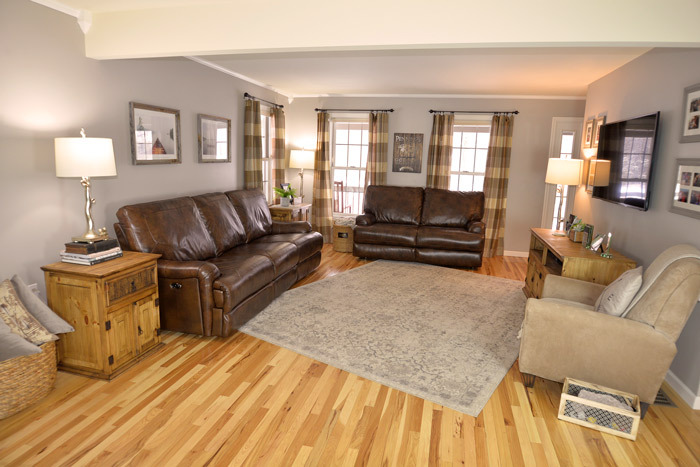 One of the biggest upgrades has been replacing the carpet with solid hickory hardwood. 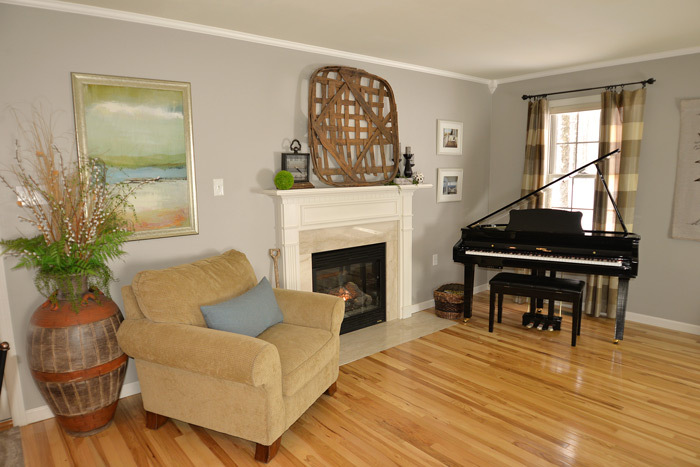 I still LOVE this hickory floor after living with it for several years now, and we get many compliments on it. We bought the floor at a discount from Lumber Liquidators and installed it ourselves. 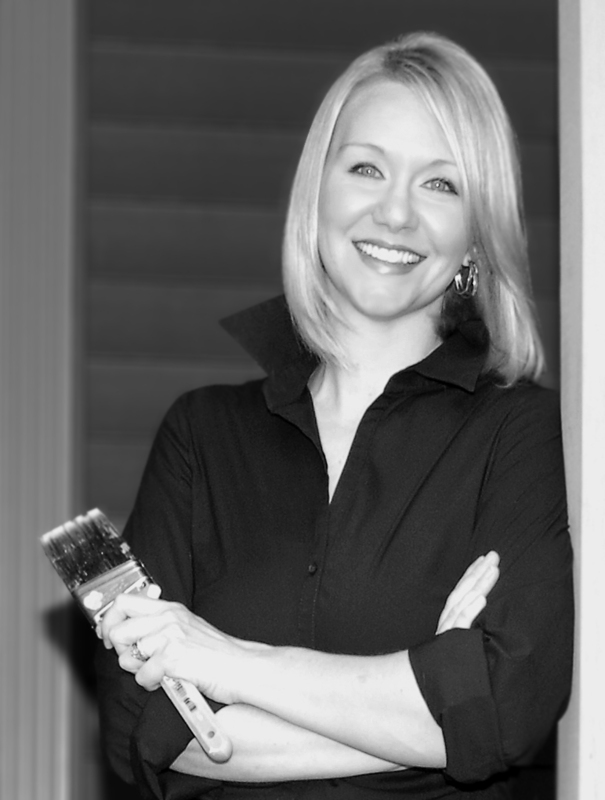 We changed the paint color on the walls from Iced Coffee to Valspar’s Feldspar Pottery, a warm gray color. 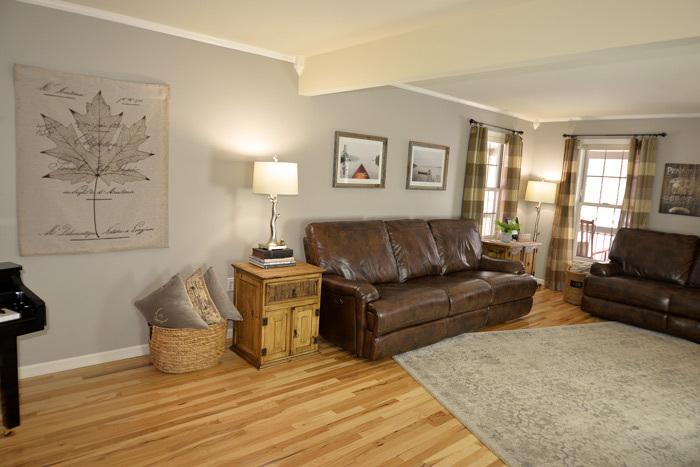 The new leather sofa and loveseat are from Value City Furniture. 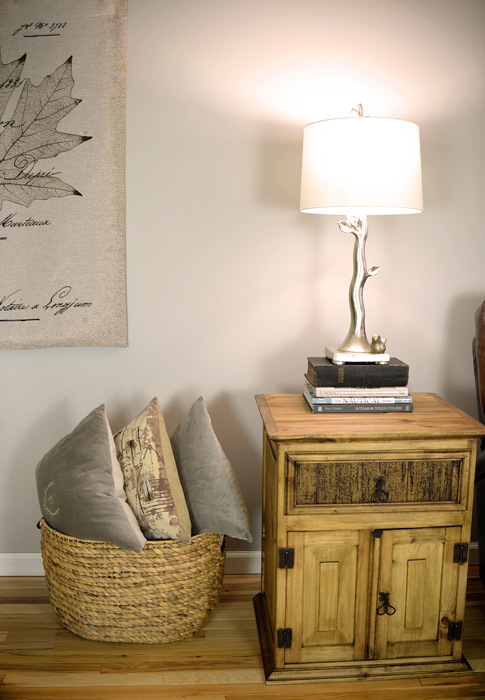 The side chair is from TJ Maxx, and the rug is from Wayfair. We purchased our micro grand piano a little over a year ago. We love it and play it every day. 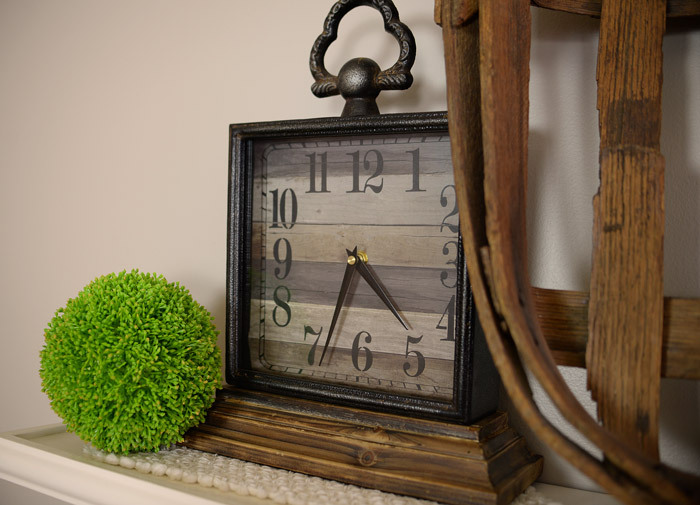 I added a few inexpensive decor pieces from Hobby Lobby and Gabe’s on the mantel for a fresh, spring look. 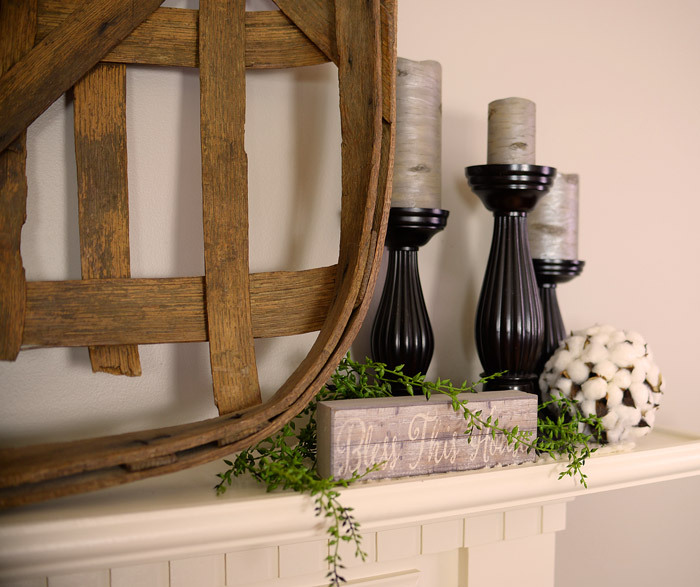 Check out this post to learn how to make your own Pottery Barn-style birch candles. The tobacco basket is from eBay. It reminds me of South Carolina, where my husband and I lived for several years while serving in the Air Force. 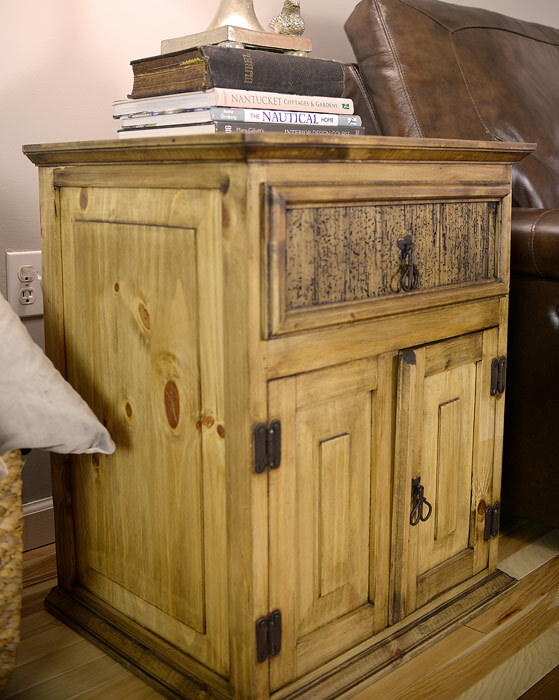 We bought new side tables and a media console from the Rustic Pine Collection at LaFuente Imports. This furniture is very affordable. We choose not to spend a lot on furniture pieces because we have children and a rowdy pup. 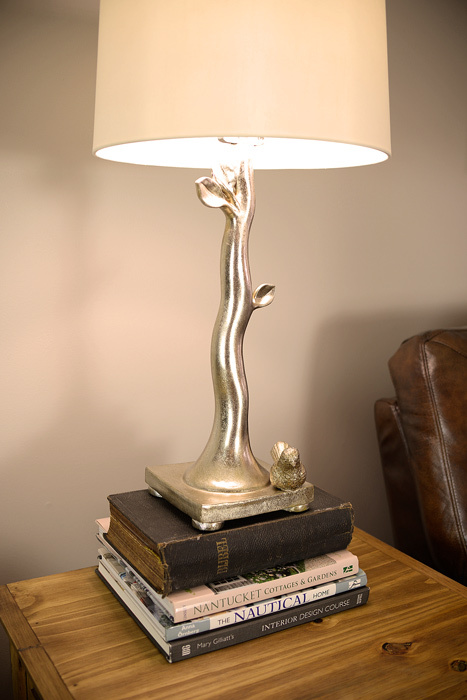 The matching branch lamps are from Pier One Imports. The Bible under the lamp is a Dutch Bible that’s been in my husband’s family for years. I try to weave meaningful heirlooms into my decor when it makes sense. 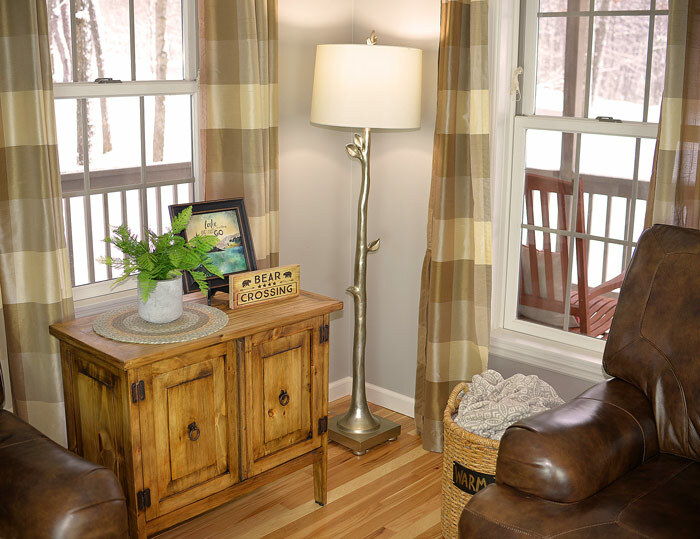 It helps to personalize a space and make a room feel extra special. 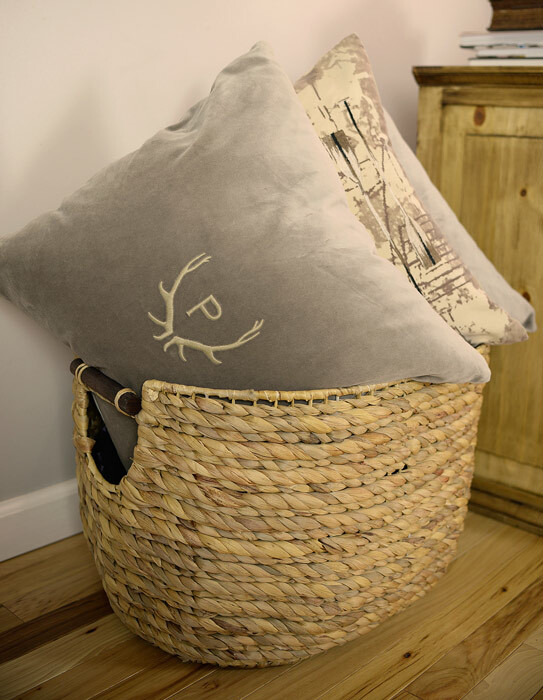 The monogrammed pillows are from Ballard Designs. 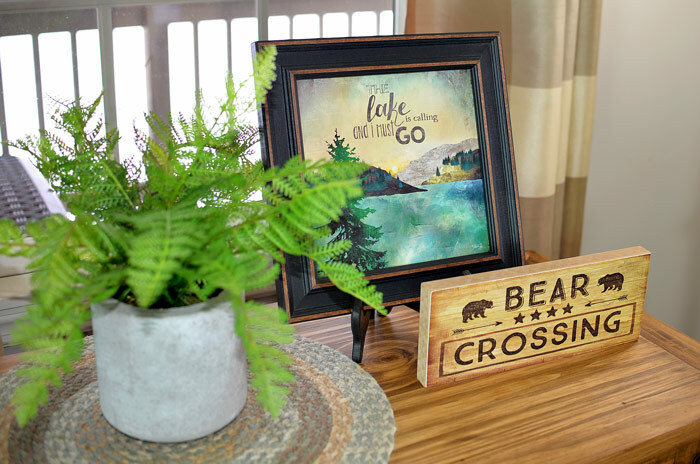 Since we live near a lake, I like to infuse lake-themed and nature-inspired pieces into my decor. Tip: Decorating your home to complement its natural surroundings and the period in which it was built can be a fantastic way to help it stand out (in a good way) and feel unique. So there you have it, an up-to-date tour of our living room. Happy spring! Is the DIY lifestyle worth the trouble? © 2016 Livingrichonless.com. All rights reserved. No content on this site, including photos, may be reproduced without written permission and attribution.